Without Walls has a strong and clear artistic policy that contributes to the development of a strengthened UK outdoor arts sector so that the organisers of major events will have every opportunity to call on artists based in this country to deliver iconic, transformational moments. 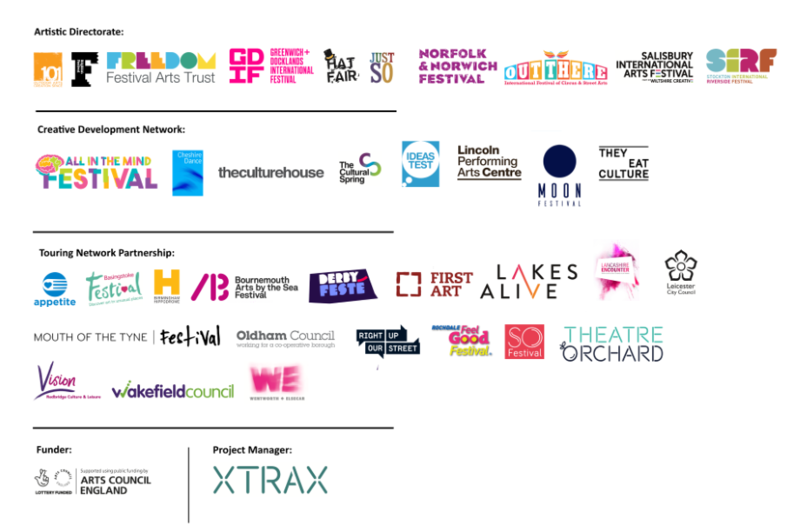 The consortium partners advocate for UK Outdoor Arts through their already existing national, European and global networks. They also help to find and attract touring partners and promoters to present Without Walls shows, therefore helping to widen the market and sustainability of UK outdoor arts. To support, develop and present work from a new & emerging generation of street artists. To work with established companies & artists who are keen to experiment & develop new approaches to their work. To help stimulate new, surprising & engaging street arts collaborations between artists from different disciplines. To prioritise the development & presentation of work with culturally diverse and disabled artists. To draw on the consortium’s considerable experience & awareness of international street arts to help provide new stimulus & opportunities for collaboration between UK & international artists.